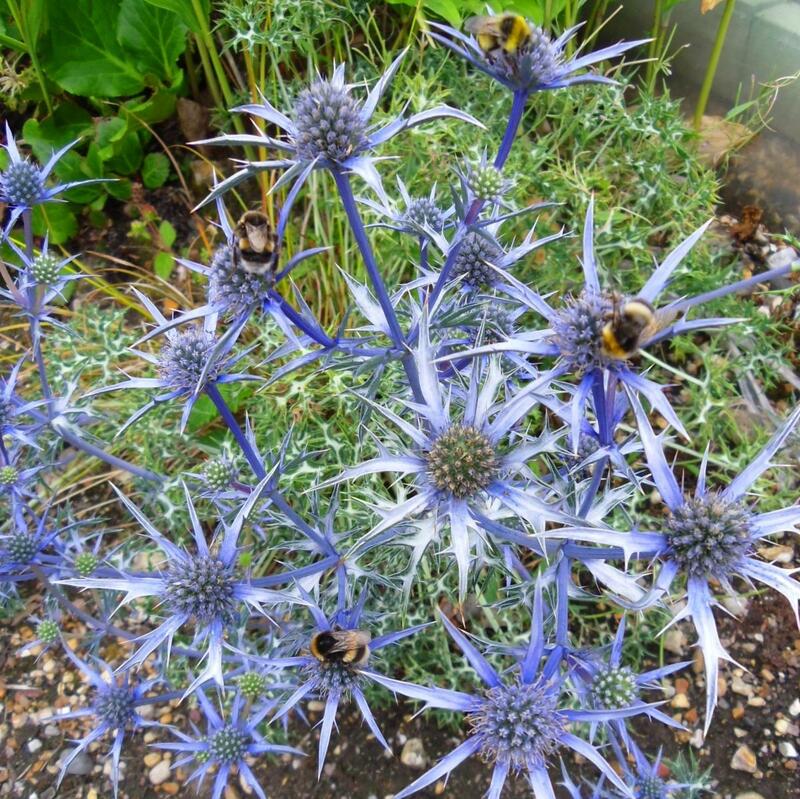 Eryngium bourgatii 'Oxford Blue' is an herbaceous perennial with clumps of deeply dived basal leaves with white veins which give the plant its unique variegated appearance. 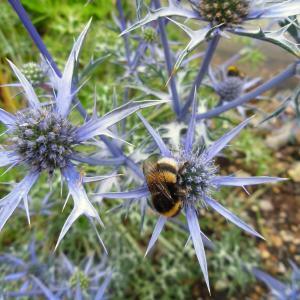 In summer this Eryngo produces cone like deep blue flowers 2cm in length which are surrounded by silvery blue spiny bracts, which eventually also turn a deeper violet blue. 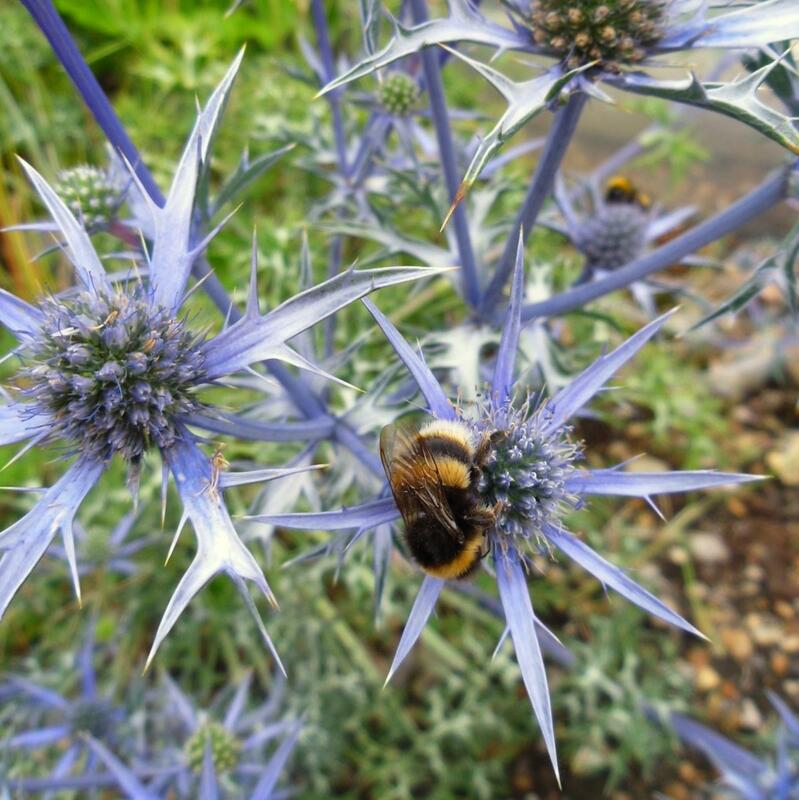 Eryngium bourgatii 'Oxford Blue' prefers full sun, has a clump forming habit and is very hardy. It will grow to 0.5m in height and 0.5m wide. A perennial ideal for a dry well drained soil that is poor to moderately fertile. The variety Eryngium bourgatii 'Graham Stuart Thomas' is very similar if not synonymous.